The Australian Supercars Series battles on despite V8 engines disappearing like fresh water on a desert island, and ultra-complex rule changes designed to accommodate new cars into the 'silhouette series'. 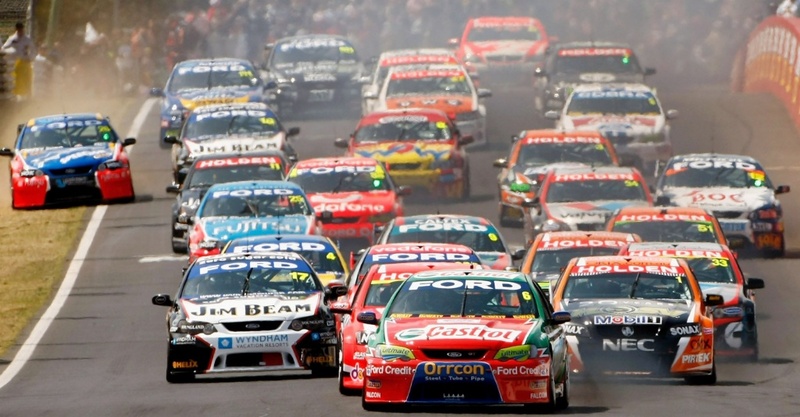 The Series has been a staple for Aussie racing fans who have lapped up the fake grudge match between the Ford Falcon and the Holden Commodore, but with the end of car manufacturing in Australia, the Big Two have to come up with new solutions to keep their name in front of the race fans. There's been talk of the Mustang replacing the Falcon; but so far permission has been denied by *FoMoCo in Dearborn. However, Holden has shown the successor to the home-built Commodore, which carries its flag from next year. Herewith, the Opel Insignia, badged as the 'new' Holden Commodore, and sporting a V8 engine just for 2018. Then, during 2018 Triple 8 Racing, Holden's racing partner, will seed a 'development' twin-turbo V6 car into the series next year, to get both the teams and the fans ready for 2019. These computer-generated images by Holden designer, Peter Huges, show how the Insignia will be cut, shut, squeezed and shrunk to fit onto the Series' 'control chassis'. Remember, this is a 'silhouette series', so under the fancy marque bodywork and different badges, all the competing cars are basically the same. Taking a leaf from NASCAR, this keeps the competitive action close, giving the fans a 'battle' scenario to keep them glued to the TV. The other wacky 'one year only' change (apart from the V8 engine in the Insignia/Commodore), will be that the 2018 race car will be rear wheel drive! The donor car (Insignia) which will come to the domestic Australian market as a Commodore, is a front wheel drive hatchback! It fascinates me how a field of practically-identical cars, can whip up badge-loyal passion among the race fans. *I got my facts wrong. Ford-based teams are keen to race the Mustang, but HQ in the USA is not thrilled about the idea.